With our constantly changing diet culture, it can be hard to keep track of what foods and drinks are actually healthy. Among the many food items that are on-again, off-again in the dieting world is fruit and vegetable juice. 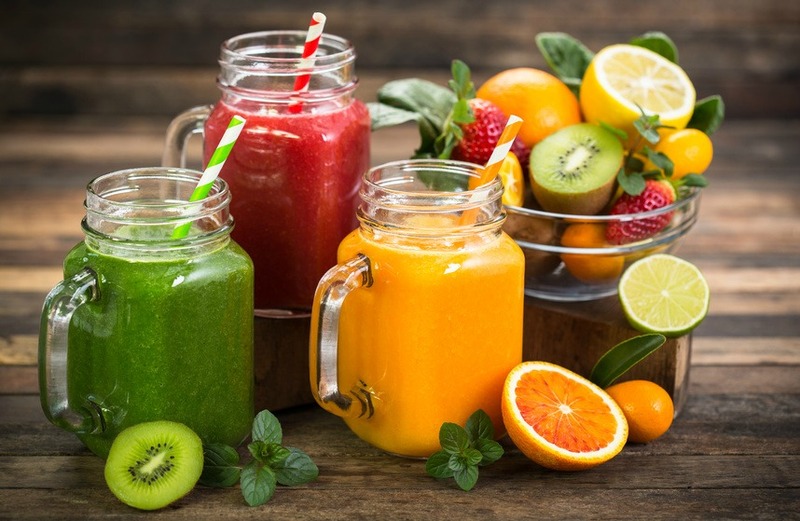 Some nutrition experts say that juices are a great way to consume more servings of fruits and vegetables, while others say that juices are merely tempting sugary cocktails. Before picking out a juice drink, or buying yourself a juicer, use the following guide to make sure you’re making smart juice choices for your health. A juice label that says “100% Juice” is, indeed, made with pure juice. However, something that says “Made with 100% Juice” might not be. Everyday Health advises buyers to check the label for the list of ingredients to see if the juice has any other ingredients, like fructose or corn syrup. Remember that even if a drink is pure juice, it can still have as many calories as soda or mixed juice drinks. Pure juice just means there are no added sweeteners. According to MyPlate.gov, a 4 oz serving of 100% juice also contains a full serving of the fruit or vegetable, which brings added nutrients and sometimes a bit of fiber. Unlike non-concentrate juices, juice from concentrate undergoes more transformative steps before it is packaged for consumption. Rather than the fruit simply being squeezed, concentrated juices have chemicals and byproducts both added and subtracted to make a reduced, distilled version of the juice. This process extends its shelf life while retaining as much flavor and nutrition as possible. Many juice drinks have “light” options created for dieters and those worried about sugary juice drinks. Although they do have fewer sugars and calories, often these drinks are like other mixed juice beverages and contain less than ten percent fruit juice. A Healthier Michigan.org recommends checking the label to make sure a “diet” juice is at least 50% fruit juice so that you still get some of the fruit’s nutritional benefits. When in doubt, check the label of the juice, or try making juice from home. Mixing fruit juice intake with other beverages and with eating whole pieces of fruit will help make sure you and your family are getting enough of the fiber and vitamins fruit has to offer, without going overboard on harmful sugars. As can making smart juice choices.